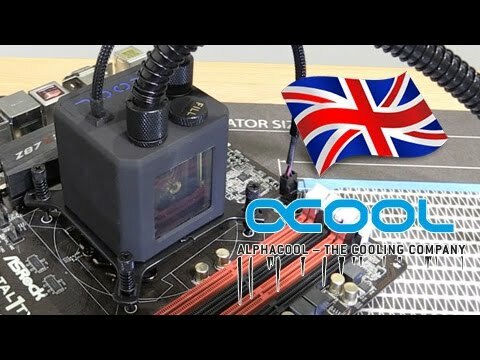 Product Overview With the “Eisbaer”, Alphacool is fundamentally revolutionizing the AIO cooler market. Where traditional AIO CPU-coolers are disposable products which are neither upgradeable nor refillable, the Alphacool “Eisbaer” is modularly built and can be upgraded, rebuilt or refilled at any time. This means that the “Eisbaer” is not only an AIO, but also fully built on classic water cooling components. That means it is quieter and more powerful than the average AIO solution. 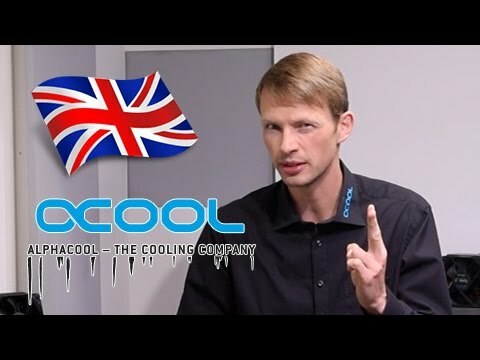 Alphacool depends on a radiator made of pure copper. The base of the radiator is the popular Alphacool NexXxoS series, which is well-loved around the world. The pure copper construction raises the cooling performance enormously compared to the usual aluminium radiators used in classic AIOs. The slight thickness of the fins ensures enormous cooling power in fans with low rotational speed. This ensures that the performance of the “Eisbaer” when adjusting the fans down decreases much more slowly than in radiators with higher fin thickness. The flexible PVC hoses make installing the “Eisbaer” easy. These hoses are easier to arrange and move into the right position. So the hoses don’t bend and stop the flow of the water, both hoses have been fitted with anti-kink springs. The 11/8 mm size is also a standard in the water cooling field, alongside the 13/10 and 16/10. The “Eisbaer” was designed with expandability directly in mind. This is why you’ll find a quick-lock closure on one of the hoses. 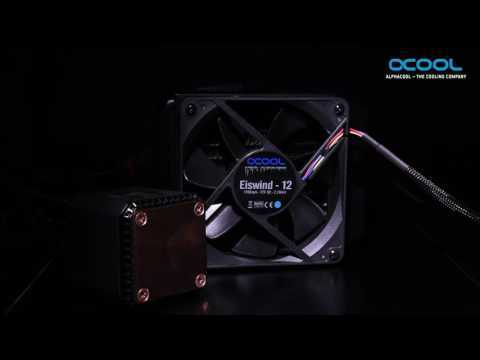 This quick-lock mechanism is compatible with Alphacool HF quick-lock closures (1010383, 1010394, 1010395, 1010442), with which the circuit can easily be expanded to include anything from a radiator to a graphics card cooler. Furthermore, the “Eisbaer” is compatible with the upcoming Alphacool GPX-Pro graphics card AIO, which will use identical quick-lock closures. The “Eiswind” fans were developed specially for radiators and generate a high static pressure in order to push cool air through the fan blades. Both fans can be regulated with PWM to anywhere in an enormous range from 550 to 1700 RPM. A PWM Y-adapter is included with the “Eisbaer” so that both fans can be controlled by the motherboard or a separate fan control with a PWM connection. All connectors are based on the classic G1/4 inch thread, the standard thread in the water cooling field. This way, all attachments can be switched out for others any time as desired. This also means that, for example, you could later decide to switch to thicker hoses or even HardTubes and set your system uniquely apart. All these features make the “Eisbaer” cooler into something extraordinary. Its enhanced appearance from the illuminated logo and the illuminated reservoir, which also contains the pump, lets the interior of your PC shine in a whole new way. The soft-touch surface of the pump case is a further visual highlight. With the “Eisbaer”, you get an all-around perfect product that is not only extremely high-powered but also works very quietly. Alphacool Eisbaer 240, High Performance All-In-One Hydro Cooler, 240mm Radiator+Fans, Modular Design, for Intel/AMD CPU is rated 4.5 out of 5 by 2. Rated 4 out of 5 by kchoppin from Good piece of kit, let down by QA Good quality piece of kit and does its job well. They need a better quality assurance process at Alphacool though. The radiator grills were bent and marked and the intel 1155 screws were bent, which is not great when you have thermal grease on your chip and just about to fit the cooler. I made do, but you expect a certain level of quality when spending this kind of money on a cooler. Rated 5 out of 5 by CheshireCat from Great! Good quality and easy to install. Better quality than some of the leading brands IMO. Keeping my OC i7-5930K in the mid 30's. Stress testing the CPU only hit the mid 40's.Will definitely be purchasing Alphacool products in the future.